A well maintained parking lot is an essential part of property management for municipal facilities. The last thing you want to deal with is an accidental injury due to an unsafe parking lot. Furthermore, neglected parking lots are an eyesore and do not give a good first impression. Safety and curb appeal are extremely important and cannot be overlooked. To ensure the grounds of your municipal facilities are looking and functioning appropriately, competent commercial parking lot paving and commercial parking lot construction services are necessary. Hal’s Construction proudly serves the commercial parking lot paving needs of municipal facilities in Portland, Gresham, Beaverton, and Tualatin, OR. We have a reputation for keeping parking lots looking new and appealing. 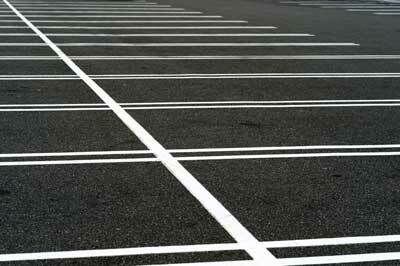 We specialize in keeping parking lot surfaces immaculate for the lifetime of your municipal facilities. Sealcoating and crack filling are also important maintenance services we provide as well. Your commercial parking lot construction project will be treated will professionalism at all times. We are experts at keeping open access to your parking lot during our work hours, so folks can come and go as needed. We are perfectionists when it comes to commercial parking lot paving, and we look forward to showing you what we can do to improve the look and feel of your municipal facility. Competent commercial parking lot paving for schools and other educational institutions is a critical safety aspect of maintaining any school grounds. Making sure the grounds of your educational institution are properly maintained through the upkeep of your parking lots and walkways is imperative. Hal’s Construction is experienced in commercial parking lot paving and commercial parking lot construction for schools, colleges, and daycares of all sizes for both new construction and repair needs. As your school ages, it is important that the facilities department of your institution in Portland, OR pay special attention to the maintenance needs of your school grounds, as proper planning and follow through is vital in keeping your students, parents, and faculty safe. With school budgets decreasing, it is likely your institution is lacking the manpower to stay abreast of all school grounds maintenance needs and Hal’s Construction can help with that. We will conduct a thorough inspection of your parking lot and walkways then create a customized maintenance and care plan for upkeep. Included in the maintenance plan will be additional information about how to recognize potential parking lot hazards to further ensure the safety of those benefitting from your educational institution. If your school is in the market for commercial parking lot construction in Portland, Beaverton, Gresham, or Tualatin, OR call Hal’s Construction for your free estimate. Religious meeting places are sacred spaces that are dedicated to respectful worship and social congregation. Often times, churches and other religious institutions do not have the staffing or funding to conduct proper grounds maintenance. Property management needs tend to fall by the wayside so that church staff and administration can focus on the more important aspects of congregation social welfare. Hal’s Construction can help your religious institution or church with competent commercial parking lot construction and paving services. The best way to budget for parking lot paving and parking lot paving repair is to have a thorough assessment of your church grounds. Once the assessment is complete, a creative plan will be devised prioritizing the most important commercial parking lot paving needs for your sacred facility. 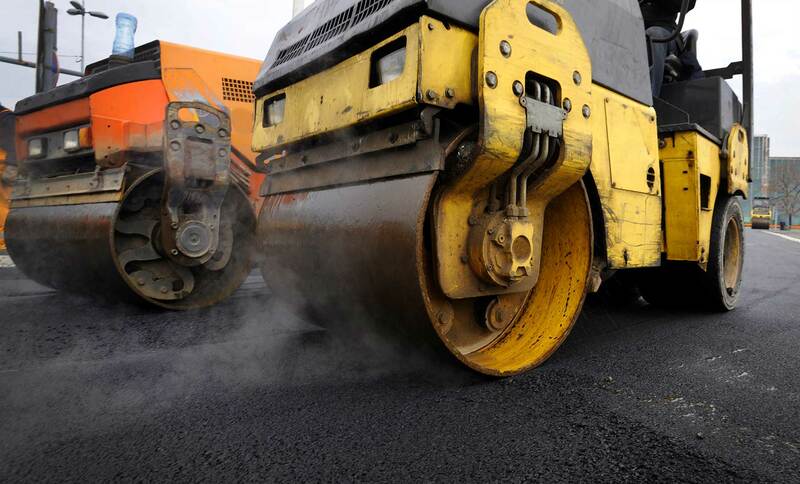 We understand the difficulties associated with property management and are available to provide you with respectful, courteous, and skillful commercial parking lot paving services. Your church in Portland, Gresham, Tualatin, or Beaverton, OR will benefit greatly from the commercial parking lot construction experts with Hal’s Construction. Call now for more information or to schedule a no-obligation parking lot paving assessment. Hal’s Construction offers the highest quality commercial parking lot paving services for manufacturing facilities in the greater Portland, OR area. Commercial parking lot construction for your manufacturing facility requires seasoned contractors with experience constructing and paving loading ramps and docks. Hal’s Construction has expert commercial parking lot paving contractors that will construct your parking lots, walkways, loading ramps, and docks to your exact specifications. All of our reputable commercial parking lot construction services have stood the test of time and this is extremely important to your manufacturing facility as it encounters heavy traffic often. With all the daily comings and goings of your manufacturing facility, quality commercial paving is vital. Hal’s Construction specializes in heavy impact and heavy load bearing commercial construction paving. Our commercial parking lot paving services are guaranteed to be sturdy, dependable, and long-lasting. When you need strong industrial commercial parking lot paving services, Hal’s Construction has the manpower, skill, and expertise to deliver work that is of the highest quality in the Portland, Gresham, Beaverton, and Tualatin, OR areas. Our commercial parking lot paving services including loading ramps and docks will be able to withstand the heavy consistent pressure of trucks, forklifts, and other large industrial vehicles, guaranteed. Commercial parking lot construction for warehouses is no small feat. Commercial parking lot paving including truck terminal construction requires competence and experience because of the unique needs of warehouses. Hal’s Construction has the expertise to construct parking lots and truck terminals that will maximize employee performance while giving them a safe space to get their work done. We can help you design a commercial parking lot construction plan that will completely meet your needs. Your parking lot and truck terminals are an important investment that should be protected. Hal’s Construction will provide your warehouse will commercial parking lot paving services that will last a lifetime with our affordable maintenance plan. While we offer comprehensive parking lot paving services, we specialize in the unique needs of warehouse and industrial sites. If your warehouse in Portland, Gresham, Tualatin, or Beaverton, OR needs a facelift or new construction parking and truck terminal paving, call now! Our highly sought after warehouse commercial parking lot paving services include paving maintenance, seal coating, parking lot striping, crack filling, and more. Whatever your commercial paving needs, Hal’s Construction wants to meet them at an affordable rate. The value of your multi-family living complex or apartment complex is heavily dependent on the condition of your commercial parking lot. Apartment complexes must have strictly maintained parking lots to protect its residents, especially during the cold months when parking lots are covered in ice and snow. Brittle and cracking parking lots can present an even higher risk of injury for people during harsh weather conditions. Neglected commercial parking lots are not good for business and are also difficult to look at. To ensure your apartment complex exudes a professional and welcoming image, competent commercial parking lot paving is a must. Hal’s Construction will work with your facilities and maintenance team to create a commercial parking lot maintenance plan that will sustain your residents and staff. The condition of your parking lot is a major consideration that should not be slighted, as this can result in preventable accidental injuries that can cost you big. When you choose Hal’s Construction for competent commercial parking lot construction services for your apartment complex or multi-family living complex, you will get professionals that have meticulous attention to detail and excellent project management skills. We will teach your maintenance team how to identify problems before they start to ensure optimal safety for your residents and staff.